No-one was spotting for concussions when the NHL first skated into being a hundred years ago: that’s not how hockey worked in 1917. But just because nobody was keeping track back then doesn’t mean that hockey-player brains weren’t being jarred with as frightening a regularity then as now. 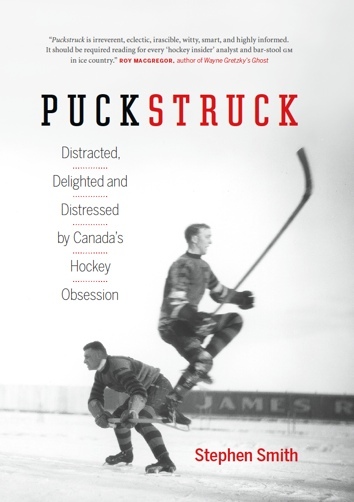 Hockey history doesn’t have much to say about early head injuries, beyond a few, famous, frightening incidents, like the night in 1933 that Toronto’s Ace Bailey nearly lost his life. For all we’ve read about the NHL’s inaugural two games on December 19, 1917, and about the first goal scored in league history (Dave Ritchie of the Montreal Wanderers got it), have you ever seen a reference to the league’s maiden concussion? I wondered about that, and about who might have been first. As I wrote for The Toronto Star over the weekend — the article’s online here — the best evidence we have points to Harry Hyland’s head. The Wanderers’ winger scored the NHL’s first hattrick that night, and ended up with a total of five goals in Montreal’s 10-9 win over Toronto. But the puck wasn’t going his way all night, as it happened: late in the game the Montreal-born future-Hall-of-Famer would also feel its bite.